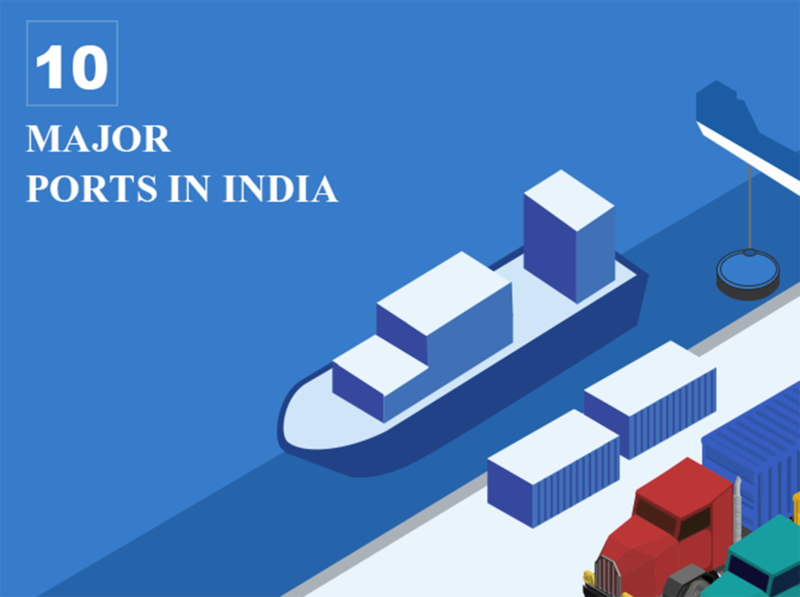 According to our data, around 95% of India’s trading of total import and export commodities by volume and 70% by value is done through maritime transport. It is serviced by 12 major ports, 200 notified minor and intermediate ports. The nine coastal Indian states Andhra Pradesh, Goa, Gujarat, Karnataka, Kerala, Maharashtra, Orissa, Tamil Nadu and West Bengal are home to all major and minor ports of India. The major ports in India handle a large volume of cargo and container traffic. India’s Nhava Sheva, which is also known as Jawaharlal Nehru Port and located in Maharashtra, is the biggest port in India. It handles the highest number of import traffic. 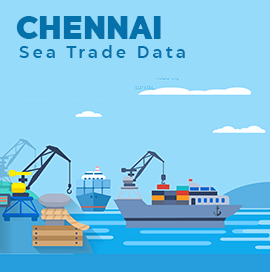 Our Insight data shows that in 2018, shipments valued INR 296032 Crore were arrived at this port, which handled more than 64% import traffic. Nhava Sheva Sea was followed by Delhi Air and Chennai Sea, which they handled 6.13% and 5.96% import traffic respectively in last year. 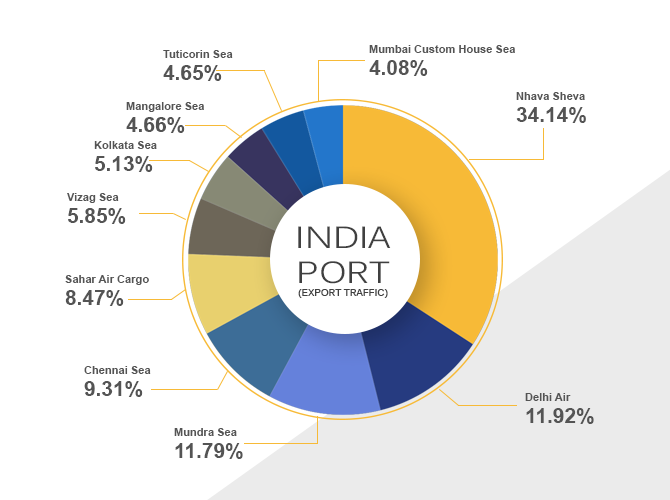 Here is the list of top 10 Indian ports with import traffic volume recorded in 2018. 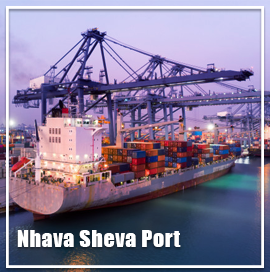 Nhava Sheva also handles maximum export traffic with more than 34% shipments valued INR 365701 Crore were departed from this Indian port in 2018. It was followed by Delhi Air and Mundra Sea, which handled over 11% export traffic each in last year. 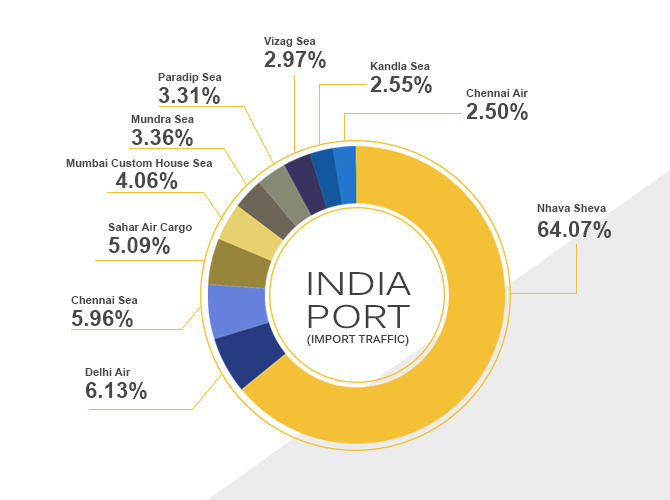 Insight reveals top 10 Indian ports with export traffic volume handled in 2018. We as the largest market research company provide import-export data of 60+ countries and analytical reports of 20+ countries. Our products & services are – Customs Data, Statistical Data, Analysis Report, Insight and Connect. So, whichever information about countries, commodities and companies including top Indian ports for logistics are required by you is available with us. The port and shipping industry in India play a vital role in sustaining growth in the country’s trade and commerce. 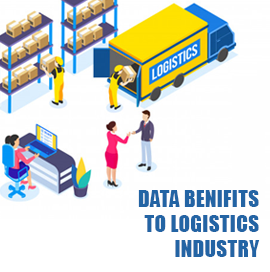 It is the main source for logistics companies in India to find real companies, increase their customers and grow their business. 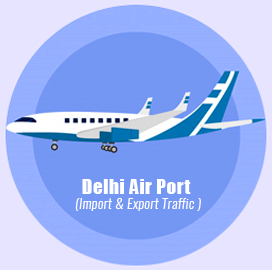 So, for any information about list of major ports in India with complete customs details, contact us. 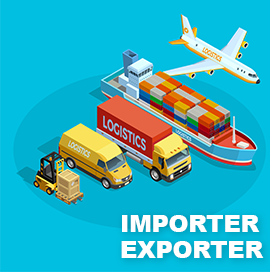 How to Find Indian Importers & Exporters for Logistics Business?